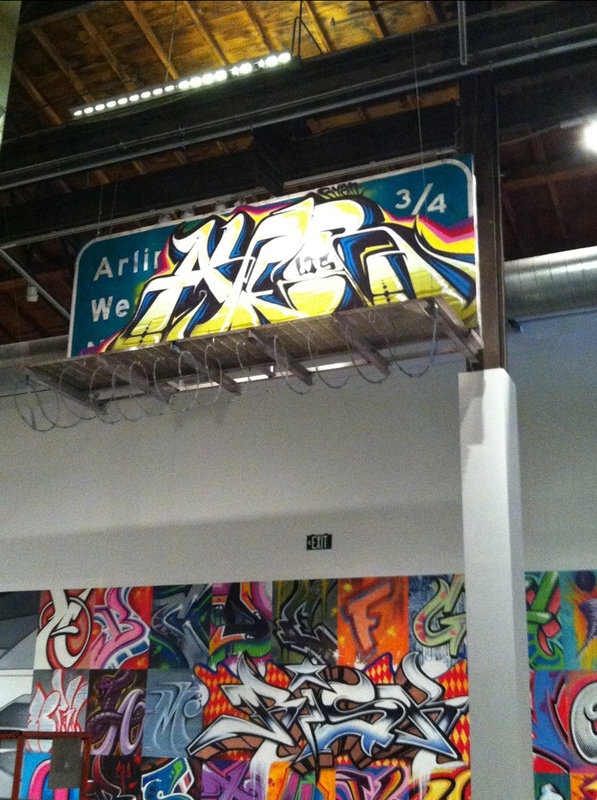 The graffiti writer known as Revok, whose work is displayed in the “Art in the Streets” exhibit at the Museum of Contemporary Art, was sentenced Monday to 180 days in jail after a judge found that he had violated the terms of his probation in a previous vandalism conviction, court officials said. Jason Williams, 34, also known as Revok, appeared in a Van Nuys courtroom Monday where he was found to have violated his probation on a misdemeanor vandalism charge by failing to pay adequate restitution to his victims, according to prosecutors. Williams was arrested at Los Angeles International Airport last Thursday as he prepared to board a plane for Ireland. His arrest came amid controversy surrounding the museum’s “Art in the Streets” graffiti and street art exhibition, which the Los Angeles Police Department and Los Angeles County Sheriff’s Department have criticized as promoting vandalism and tagging. Sheriff’s investigators said they are conducting a wide investigation into Revok. “As a result of evidence discovered during his April 21 arrest, other incidents of vandalism were found in the county of Los Angeles,” said Capt. Mike Parker. Investigators said the L.A. County district attorney’s office could file felony charges against Williams, who was arrested by a sheriff’s transit team that specializes in catching vandals. The team recently arrested Cristian Gheorghiu, also known as Smear, another tagger-turned-artist.Gheorghiu received 45 days’ community service for violating his probation. He was arrested two days after The Times published a story on his life as an artist with tagging roots. 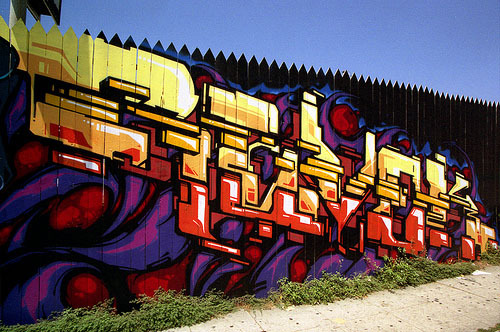 Revok is among the best known and boldest taggers in Los Angeles. Williams, a one-time member of the graffiti crew “Mad Society Kings” or MSK, was arrested in 2009 in Melbourne, Australia, after a series of highly publicized large pieces. A resident of the Fairfax district, Williams was placed on probation for felony vandalism in Indio in 2009 during the Coachella music festival. He also was arrested in November 2009 by deputies near the 33rd Graffiti Art Store, where images of his graffiti were featured. During a later search of Williams’ home, deputies found several hundred paint cans, a police badge and a fire extinguisher — a tool commonly used for applying large tags. They also found a stolen detour sign and digital photos of his graffiti work on his phone.